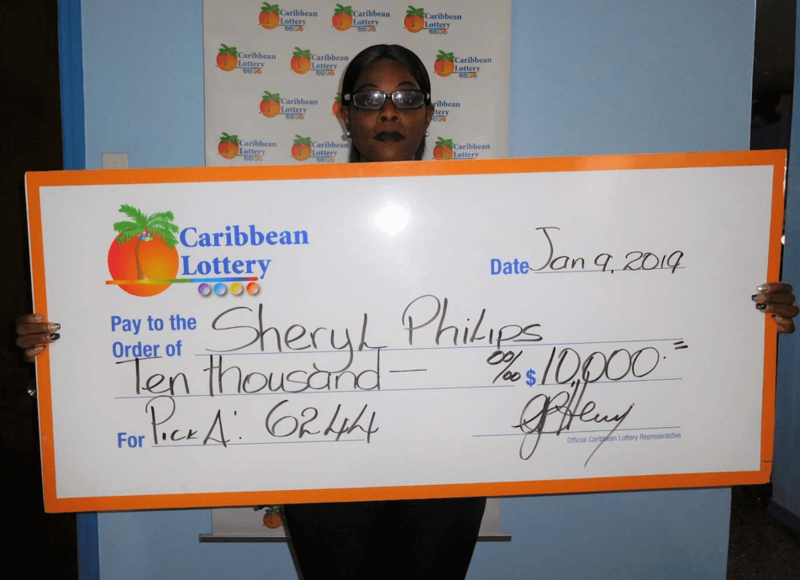 Phillipsburg, St. Maarten – January 15, 2019: Sheryl Philips walked away with $10,000 after recently winning Caribbean Lottery’s Pick 4 game. 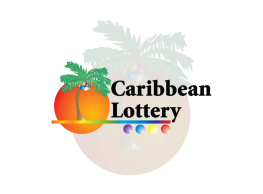 Philips is no stranger to winning Caribbean Lottery games as she has previously won playing Pick 3. 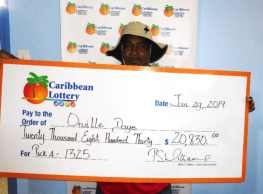 She is an avid player who uses everyday events to help her select the numbers she plays. Philips shared that she recently witnessed a road accident involving two vehicles. She then decided to play her favourite game, Pick 4, using both cars’ licence plate numbers. Philips purchased her ticket at Chen Supermarket where she wagered $10 on each number. One of the numbers 6244 eventually played. Philips says she feels “great” about her win and it will make a “big difference.” Her plan for her winnings is to pay some bills and save the rest. 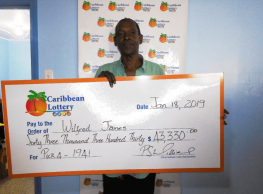 Williams reminds the public of the variety of games, including Super Lotto, Luck Pick, Pick 3 Pick 4, and a variety of Instant Scratch Games, in which players have the chance to win.